My lack of surprise about aging at home, while corroborated by AARP, has its source in the adult children who visit my office frustrated that their parents feel there is no compelling reason for them to move out of their house. A typical scenario as described by a son or daughter: no bathroom or only a half bathroom on the main floor, stairs that must be ascended or descended to get to the kitchen, no direct access to the outside without holding on to a hand rail that is unstable accompanied by a walkway that is crumbling, nonstop repairs both large and small. Sitting across from these adult children, I understand their unease. They are often wakeful at night, distracted at work, consumed with the responsibilities of calling the plumber, roofer or making sure a path has been shoveled after a snowstorm. I also know from talking with adult seniors the comfort that comes with continuing to reside in a lifelong home. Change is never easy or welcomed. So, what’s an eldercare consultant to do? For this consultant, the major consideration is safety. There is no compromise on this issue. To ensure this safety there are three necessary requirements. First, the willingness of a parent to agree to whatever modifications should be made to the house. First, the readiness of the parent to accept home care if necessary and first, the financial wherewithal and/or community support services to achieve these outcomes. Yes, they are all number one priorities. To this end, I frequently visit the parents in their home. Often, mom and dad need to be heard and understood, with a focus on empathy. Once they know I understand their situation, it is easier to start to effect change. The secret is small steps. With each step, it is validating their willingness to undertake necessary changes. That validation provides the incentive for the next step until a safe living environment is accomplished. But please don’t think I come with a magic wand. Sometimes the ideal, or even close to it, becomes unachievable. 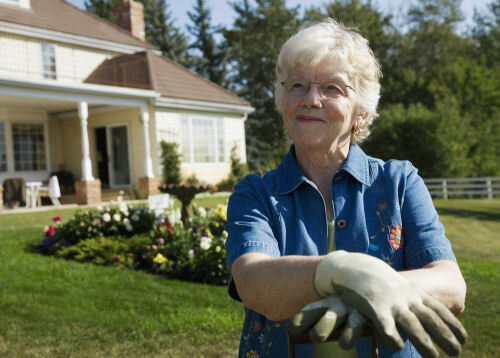 It may be the staunch autonomy of a parent or it is the symbiotic relationship of husband and wife who create such a strong wall (yes, this one is achievable), that adult children, the family favorite, or even this eldercare consultant cannot convince them that they are putting their safety at risk. Then Father Time steps in and removes aging at home as a choice. A fall, noncompliance with medication, or one of those all too frequent storms we’ve been having here in Westchester County, may result in a whole new aging in place definition and destination.